Recently while scrolling through social media, I came across an interesting question—Is primary infertility more difficult than secondary infertility? The question had sparked a lot of debate, with some arguing yes and others stating no. 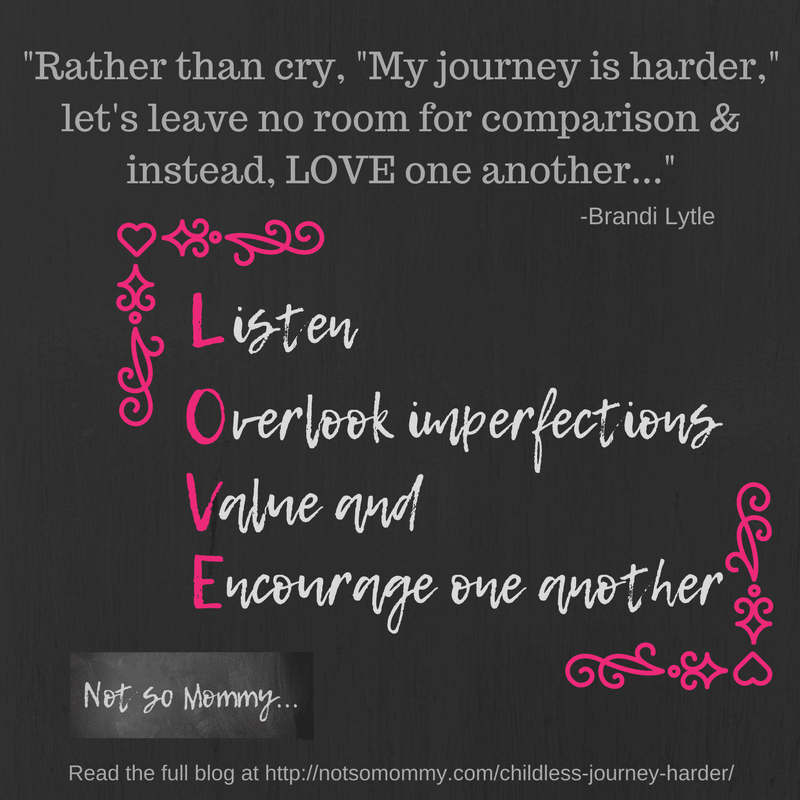 As I tried to decide how I felt, being a childless not by choice woman due to primary infertility, I started thinking… Is my childless journey harder? 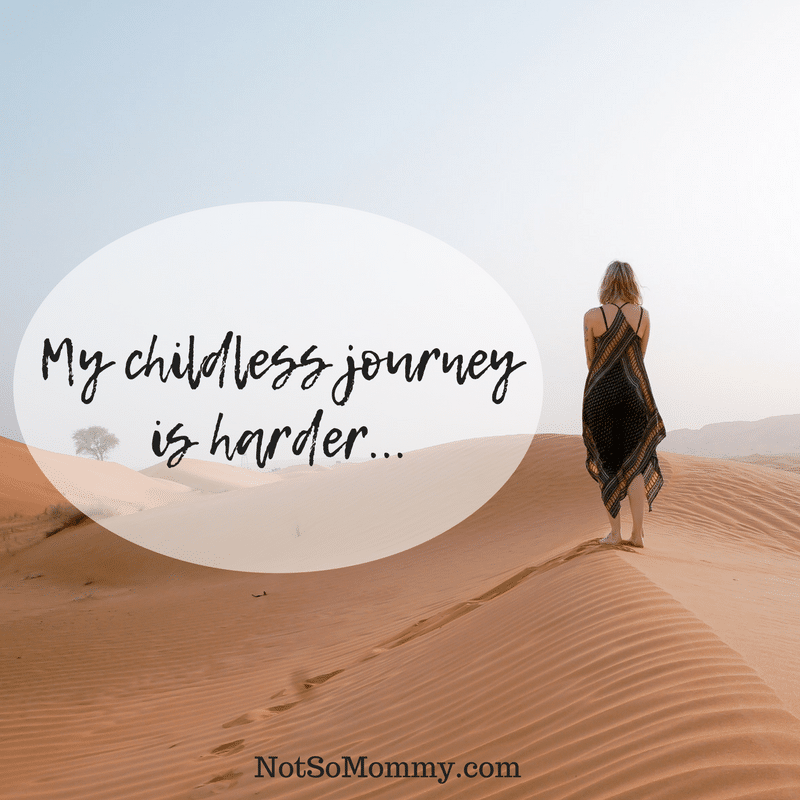 Is my childless journey harder? Is infertility more painful for someone who has no children rather than someone who cannot have a second child (or third or fourth)? 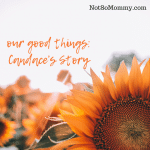 Does the woman who got pregnant and miscarried walk a more difficult childless journey than the woman who was never able to get pregnant at all? Do the married childless have an easier childless journey than the single childless? What about the widowed childless? 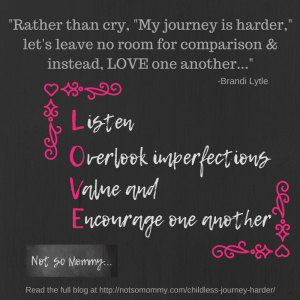 Is the pain of her childless journey greater? There is no room for comparison. All these scenarios helped me come to this conclusion–there is no room for comparison on this journey. And we offer grace as we listen. Perhaps she laments about how sad it is that her little will never have a sibling. Rather than reminding her that she is lucky to have one child because not all of us could, we simply listen. We overlook that she has forgotten that we are childless, realizing that she is in the midst of her own grief at the moment. And we hope that she will do the same for us when we have a weak moment and need to cry to her. 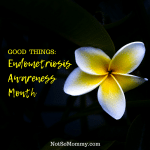 In a nutshell, we LOVE them–no matter their infertility or childless journey. Fabulous ones, I love you all. And when I say this, I hope you now know what I mean. I try to listen, to overlook imperfections, to value, and to encourage. And I know that you all love too because you do the same things. What an amazing community we are building together! Exactly. We each have our own unique perspective. It’s not better or worse, just different. The L O V E concept can be applied in all aspects of life. I will never forget this. Yes, it definitely can be applied to life in general. I used this concept with my students, as well. And even in marriage, I think we have to remember that LOVE is an action.